I love peppermint tea, and I decided it was time to grow It so that I could make fresh mint tea from fresh peppermint leaves from my herb garden. Now, I have lots and lots of peppermints in my herb garden – more that enough for peppermint tea! If you don’t have any peppermint in your garden, you’re too late to plant it this year. Make sure to plant some next spring. What can I do with it? Well, I can use fresh peppermint in peppermint recipes, or make fresh peppermint into herbal remedies.Peppermint can be used in sweet and savory recipes. I can make fresh mint into soothing peppermint foot cream. There are hints here for how to make great soothing peppermint herbal treatments for tired feet. I can make fresh peppermint into a mint oil to add to hand creams, or for mint, menthol rubs to clear a stuffy head.Peppermint is used commercially for many of these purposes, but you can make your own creams, remedies, and potions using the fresh peppermint from your herb garden. 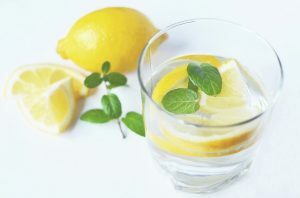 I can add fresh peppermint to peppermint cordial, to make a zingy peppermint drink. I can add it to a Pimms, a favorite English Summer drink, along with borage. I can add fresh peppermint to a mojito, or to any drink that needs a bit of extra usual flavor. The peppermint herb has been around in England since the mid 18th Century, is a variety of the old, common mint. Peppermint (botanical name Mentha piperita) is now widely grown throughout the U.S. and Europe. You can use both peppermint leaves, and peppermint seems to calm all manner of digestive problems, to soothe tired feet, to clear a head cold and help with respiratory problems. Grow your own peppermint- you can use it in so many ways, and peppermint is so easy to grow! Here are some ideas on how to use this, plus alternatives to buying if you can’t grow your peppermint. Peppermint tea from your garden is an excellent soothing, healthy herbal drink. Peppermint is spreading all over my herb garden. I now have more fresh peppermint than I can use. All my friends are offered peppermint tea when they visit! Peppermint tea is beautiful pale green color, with a pleasant scent and flavor. Peppermint grows very easily in my garden- it is even pushing up in the lawn- making lawn mowing a menthol scented experience. 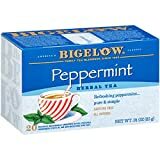 You can also use fresh peppermint tea as an inhalant to clear a head cold or stuffy nose- just put your head over the bowl of hot water and peppermint, cover your head and the bowl with a towel, and inhale Mmmmm! If you can’t grow your own peppermint, buy the best peppermint tea sachets. Peppermint teas is ideal for any stomach disorder. I was first convinced of this when I was suffering from nausea following an operation and aesthetics. A very kind nurse brought me cups of herb tea, which helped my recovery naturally, with no need for any additional drugs. Its teas help calm digestive spasms. Drink its tea after eating to help reduce indigestion and help with irritable bowel syndrome. Its tea is simply made by infusing fresh mint leaves in hot water and leaving it to stand. Add honey if you like. 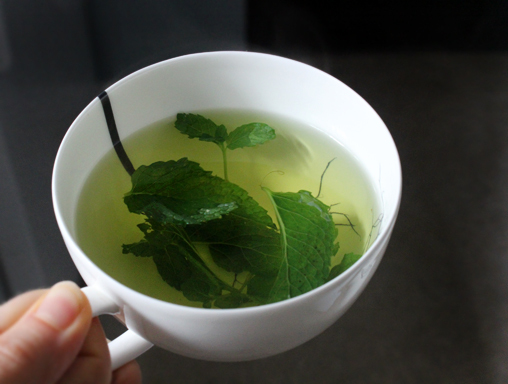 If it is not possible for you to use fresh peppermint, a good brand of mint tea bags is an excellent alternative. My personal favorite is Twinings mint tea. Treat your feet to cool peppermint herbal remedy. This peppermint pedicure set is a great treat for your feet. It is known to soothe tired feet, refreshing them and leaving your feet smelling sweet. Peppermint Pedicures- so soothing! Below you will see a link to a great Squidoo lens telling you how to make your mint foot soother. Here’s an old poster of a Baker’s boy with a giant peppermint stick. It candy has been popular for a long time.